Wouldn’t it be great to work with a dentist who you know is committed to continuing education and providing the highest level of service and care possible for their patients? 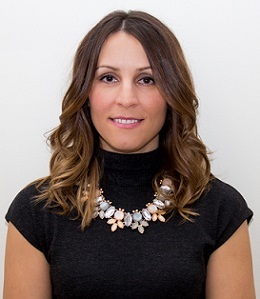 Patients of Virginia Dentistry By Design can enjoy these benefits because Dr. Sonia Dilolli was recently awarded a Fellowship from the Academy of General Dentistry (AGD). What does it mean to earn a fellowship? What are the requirements for this prestigious award? Read on to learn more about how Dr. Dilolli, your dentist in Reston, earned this honor. What is Required to Earn a Fellowship? Dr. Dilolli is passionate about dentistry and providing her patients with comprehensive services and the latest in dental technology. It takes this sort of passion to earn a Fellowship as she completed 500 hours of continuing dental education, passed an extensive written examination, and was an ongoing member of AGD for at least 3 years. The Fellowship Award is a symbol of dental excellence, as only an elite group of dentists display the sort of commitment and passion for dentistry required to complete a Fellowship program. What does this Mean for Dr. Dilolli’s Patients? Dr. Dilolli has always strived to provide comprehensive care and a level of service that is unlike other practices in her area. Patients in Herndon, Reston, and surrounding communities enjoy advanced services such as comprehensive implant dentistry and orthodontic services when they come to Virginia Dentistry By Design due to Dr. Dilolli’s extensive training and expertise. Now Dr. Dilolli is also being recognized by her peers as an example of dental excellence through the Fellowship Award. What can You Expect at Virginia Dentistry By Design? When you choose Virginia Dentistry By Design as your dental home, you can rest assured that you are working with one of the top dentists in the industry. Your needs will be met under one roof by the dentist and team that you’ve built a relationship with and trust. You can expect the highest quality dental care provided in a caring and friendly environment. Are you ready to schedule your next appointment? Contact Virginia Dentistry By Design today to schedule. Since she was 12 years old, Dr. Sonia Dilolli aspired to be a dentist. She has taken her passion for dentistry above and beyond industry expectations by being awarded a Fellowship from the AGD. As her patients know, she has always provided the highest level of care combined with compassion. We are so excited that she is now also being recognized by her peers! Would you like to contact Dr. Dilolli? She can be reached by calling 703-478-9574 or through her website.